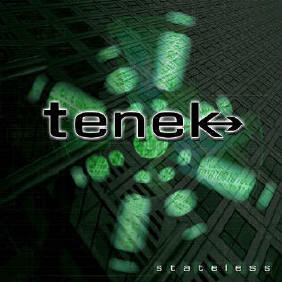 Tenek debut album Stateless was one of my favourite albums of 2009. Follow-up album On The Wire is due for release in September and they’ve just released the first single, called Blinded By You. Blinded By You is the new 3-track single from UK synth band Tenek. It’s an excellent taster for the new album and shows the band moving more towards a purely electronic sound. 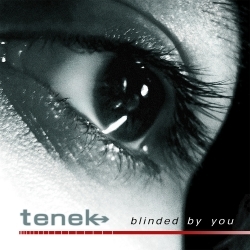 Blinded By You has a wonderful European futurepop sound; Tenek certainly seem to be filling the gap left by Apoptygma Berzerk‘s departure into rock. 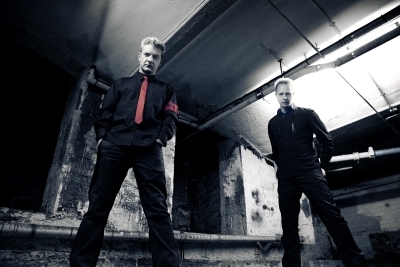 It’s easy to hear why the likes of De/Vision, Mesh, Assemblage 23, and Gary Numan have asked Tenek to support them on tour: there’s an assured song-writing skill and seasoned professionalism apparent in their sound. With its catchy chorus and driving electro groove, Blinded By You is a stand-out single for 2010. Second track Synchronise contains hints of the Human League‘s Being Boiled, updated for the naughties and fuelled by rock and electroclash. 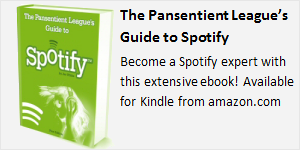 I can imagine this being a particular crowd-pleaser at gigs, with its “Hoy!” refrains. 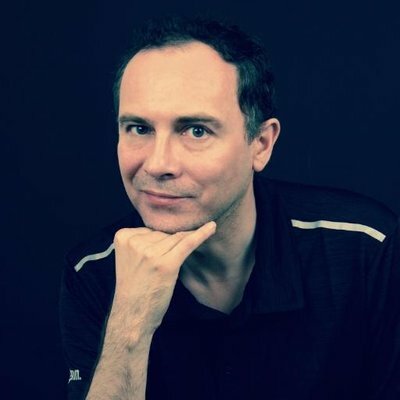 Synchronise is an exclusive track (the B-side!) but it’s a complete song with vocals. The third track is an extended dance mix of Blinded By You. Harking back to that wonderful era when a twelve inch dance mix was essential, this 8-minute version brings to the fore extra touches of OMD and Ultravox into the mix. All in all a fantastic release – short but sweet! Listen to debut album Stateless on Spotify! Disclaimer: I received a review copy of Blinded By You from Toffeetones Records.